ASTC is a proud partner of the March for Science. 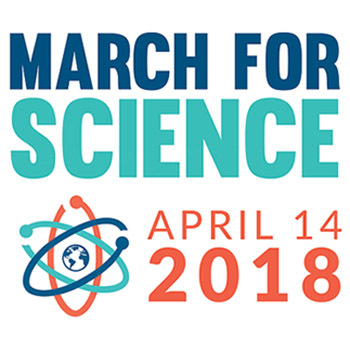 We are looking forward to participating in the 2018 March for Science in Washington, D.C., in support of our shared goals of robustly funded and publicly communicated science as a pillar of human freedom and prosperity. Many ASTC science centers and museums, and their staff members, participated in the 2017 March for Science in Washington, D.C., or as part of independently organized activities in their own communities around the world—advocating for quality science education, evidence-based policies, and inclusive opportunities for public engagement with science. Find out more about the March for Science and locally planned satellite events in which you might take part.